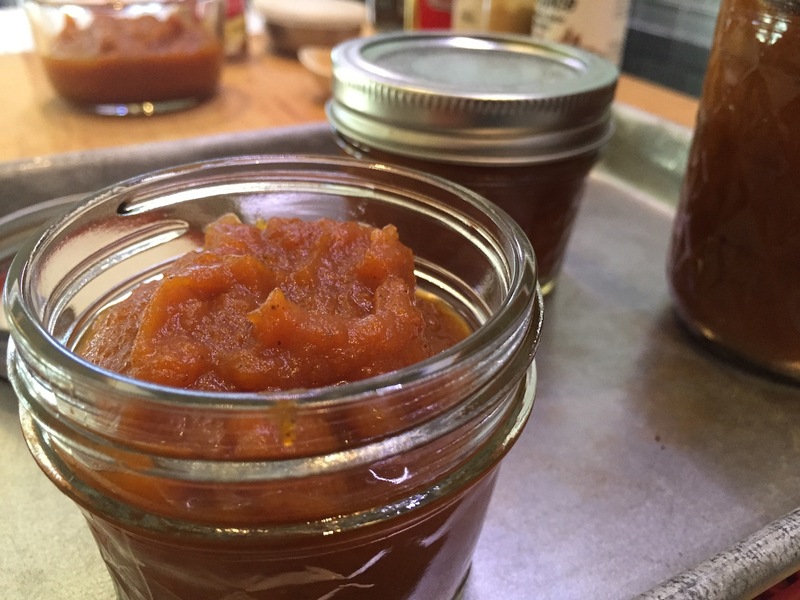 I love all things pumpkin, and every year I make enough pumpkin butter to keep me happy for the season. I’d forgotten just how easy this is. I can’t believe people bother to pay some $12 for a 13oz a jar for it. Really? That’s crazy,…let me show you just how crazy that is ! Gather the goodies. You can go all organic on this, easy. Get it into a saucepan – with higher sides than mine. If it bubbles, it will be plenty messy! 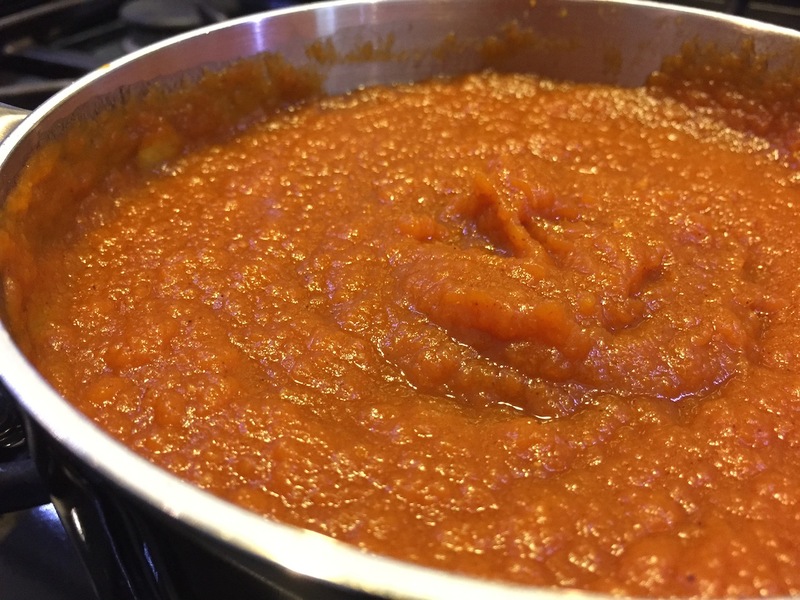 Let it simmer for about 15 – 20 minutes. Oh, the smeeeeeeell !!! Decide how you want to preserve this, because even if you’d want to, I don’t advise eating it ALL in a week. And you might want to give some away…..might. 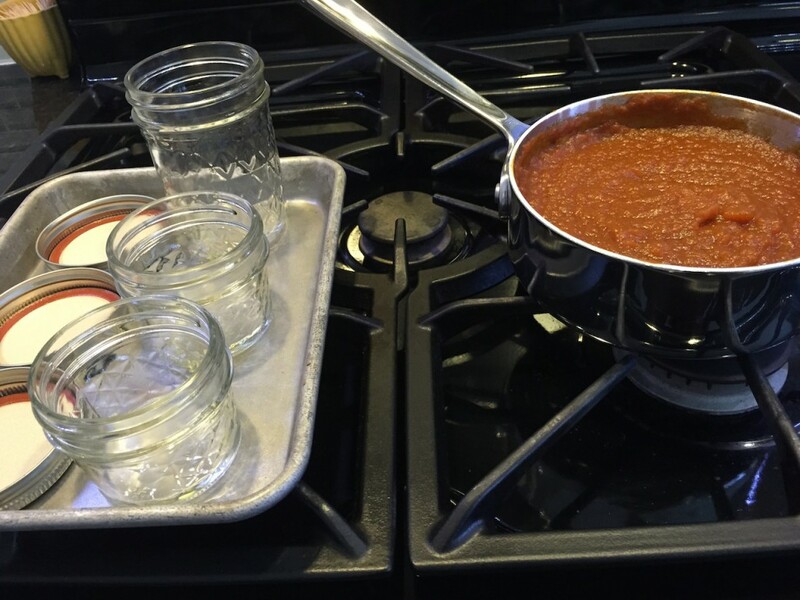 Sterilize a couple jars in the oven at 250deg for 30 minutes (while you make the butter). I had some of those lovely wide mouth ‘Elite’ Ball jars,…but I used them all for Bourbon Cherries. (you’ll have to check that out) Then, my Target had some sweet, food safe, gift jars in the front of the store at the ‘dollar’ section. But nope, not quite right. 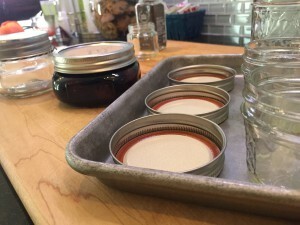 The old standby – 4oz and an 8oz Ball jar. That leaves a little left to go in the fridge. 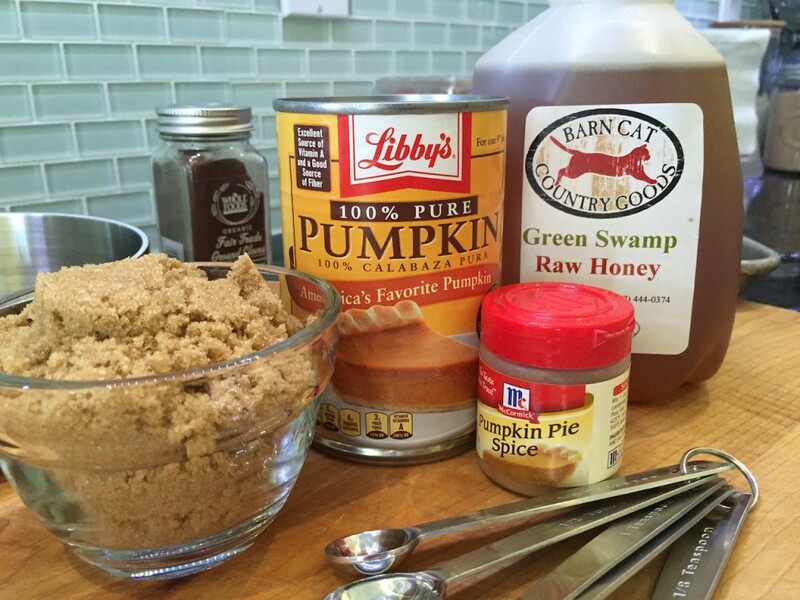 * About that Pumpkin Pie Spice. 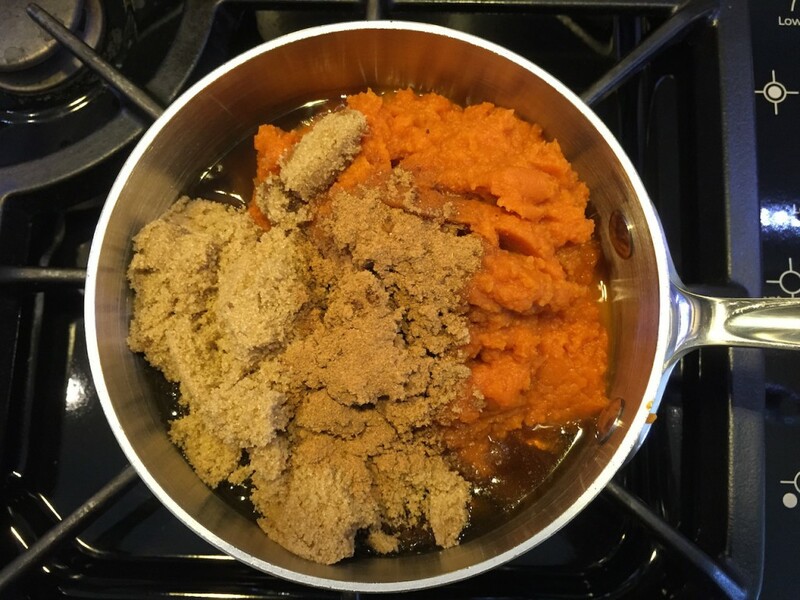 The original version, and many others, have only Cinnamon (1/4tsp) and Cloves (1/8tsp), which is fine, but I like the extra flavor that ginger and allspice bring. 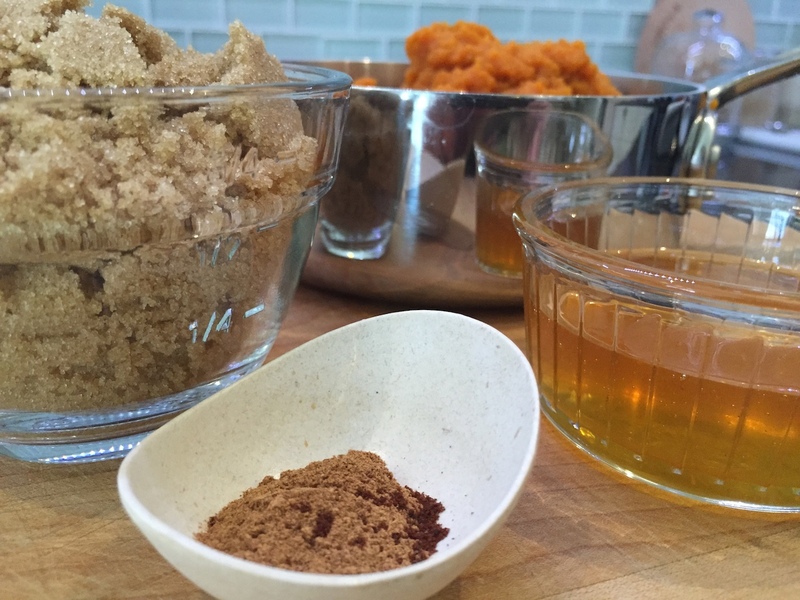 I make my own Pumpkin Pie Spice mix and refill the cute little sprinkle jar from McCormick. 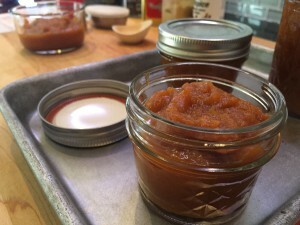 However, my long term storage choice – baby food jars ! YES! The tiny jars are perfect. They have a rubber seal around the edge to make it air tight. Metal lids make them the perfect partner for a magnetic bar mounted inside the cabinet,….but that’s another blog. 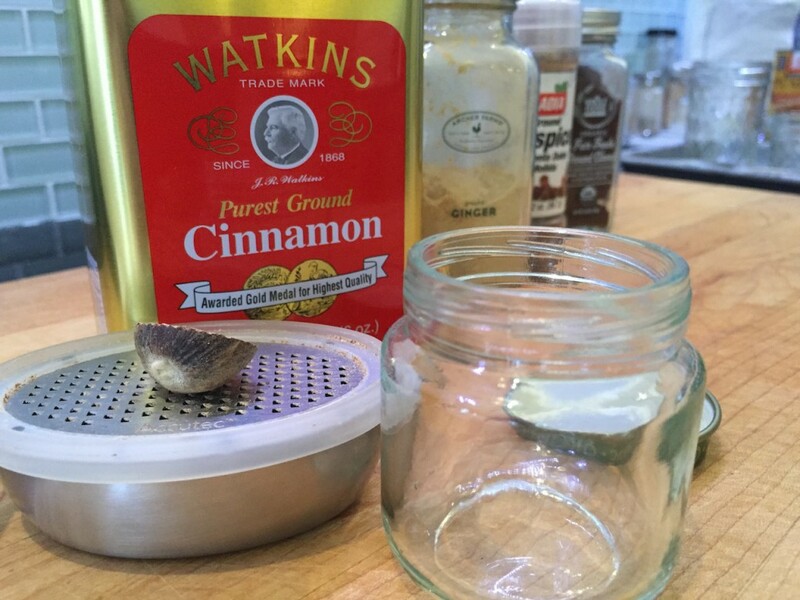 1 -1/2 tsp Cinnamon, 1/2 tsp Ginger, 1/4 tsp Nutmeg, 1/8 tsp Cloves, a dash of Allspice. Finale: That’s it ! 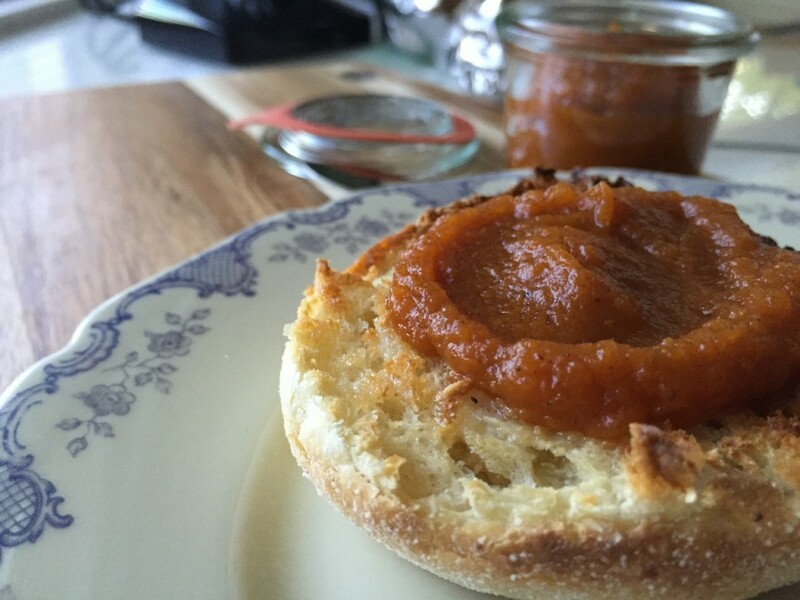 Cook it – jars it and enjoy it ! Like autumn in a jar. Please make this – you’ll be so impressed with your skills – and this is way better for you than those store bought sweet smears. Pumpkin Pie Every Day ! Get it all into a heavy sauce pan, and simmer for 15-20 min. You can add a dash of 'Fruit Fresh' to keep the color looking lovely. Don't just use this on a morning muffin. Use it on pancakes, or as a filler for crepes and cupcakes ! I’m going to try this with my coconut sugar!